Hi, my name is Beth–unless you’re French, in which case you can call me Elizabeth. Beth, it turns out, is a hard word to hear or say in French. That’s one of the things I learned when, in the spring and summer of 2015, my husband Eric and I followed the path of two million pilgrims before us and walked the Way of St. James, familiar to most Americans as the Camino de Santiago, from Le Puy, France, to Finisterre, Spain. 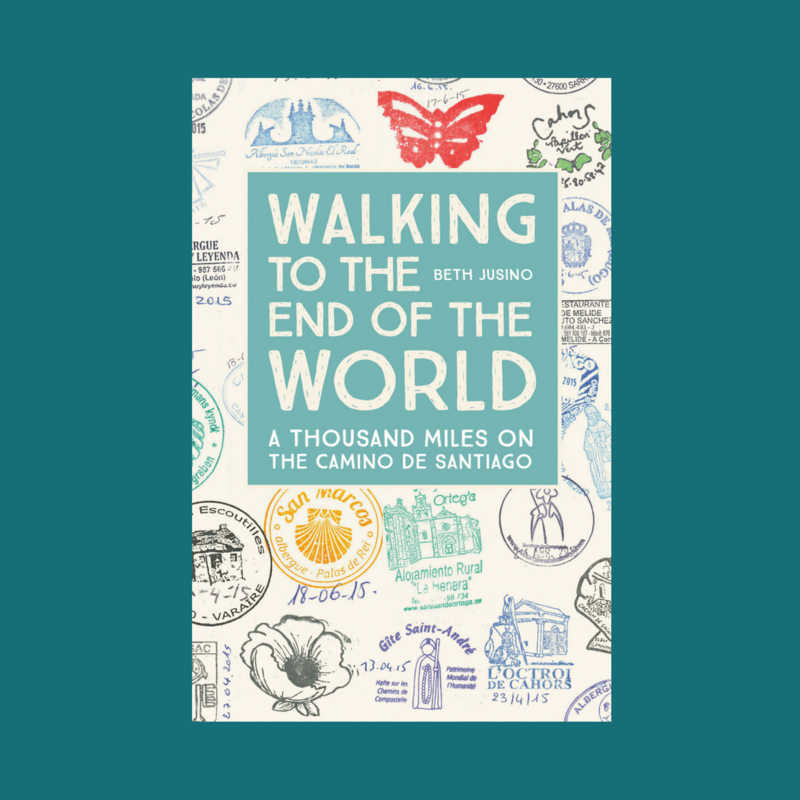 My book about that thousand-mile trip, Walking to the End of the World, was published by Mountaineers Books in October 2018. Since then, I’ve returned to the Camino twice: a brief return to the Camino Frances in 2017, and then half of the Camino del Norte in 2018. All together, I’ve spent more than 100 days walking some part of the Way of Saint James, and I’m nowhere near done. But here’s the thing: I’m not some exceptional, risk-taking, super-fit person. I’m a writer and editor who prefers the comfort and safety of my couch and a good book. I’m not an athlete. I’m not a world traveler. I’m not a backpacker. I didn’t speak any French when we set out, and my Spanish was atrocious. (It still is.) If I can do this, there’s no reason why you can’t, too. Walking the Way doesn’t require any out-of-the-ordinary talent. It just takes a willingness to take a break from the routines of everyday life, and an openness to the unexpected. I turn off all electronic devices and take a sabbatical from my regular life. My only responsibility is to walk about 12-15 miles a day. In exchange, I am offered inexpensive shelter, good food and wine, an international chorus of new friends and companions, stunning scenery, and a place within a story much bigger than mine. This blog is a place for me to share my love of these trails — the history, the people, the simplicity, and yes, the food and wine. I’ll tell you plenty of stories from from my own experienced, and I can’t pass up a chance to show off pictures of some of the things we saw. 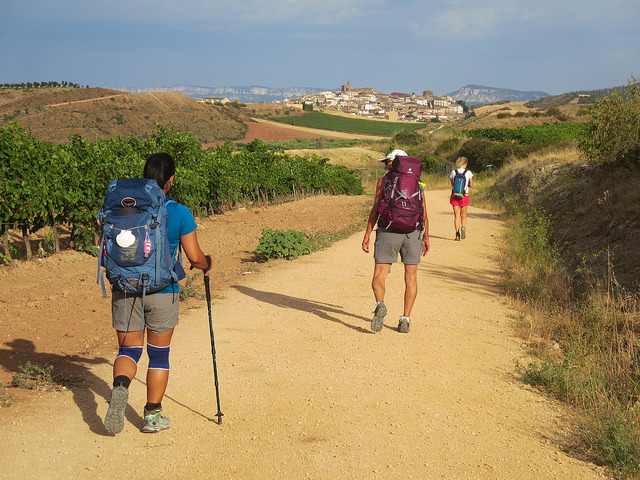 But Camino Times Two primarily exists to help you prepare, mentally and practically, for a Camino of your own. And hopefully, it will inspire you to see the Camino as something bigger than the 500-mile stretch pleasefrom St. Jean to Santiago (although that’s beautiful, too). So what’s with the name? Why Camino Times Two? Because walking with a partner changes some of the dynamics of a pilgrimage. Because in 2015 we walked twice as much of the pilgrim way as most Americans know about (yet). Because as soon as we got back, we started planning our next Camino, of course. If you’d like to ask a question, make a suggestion, invite me to speak to your group, or share your own pilgrimage story, please contact me.